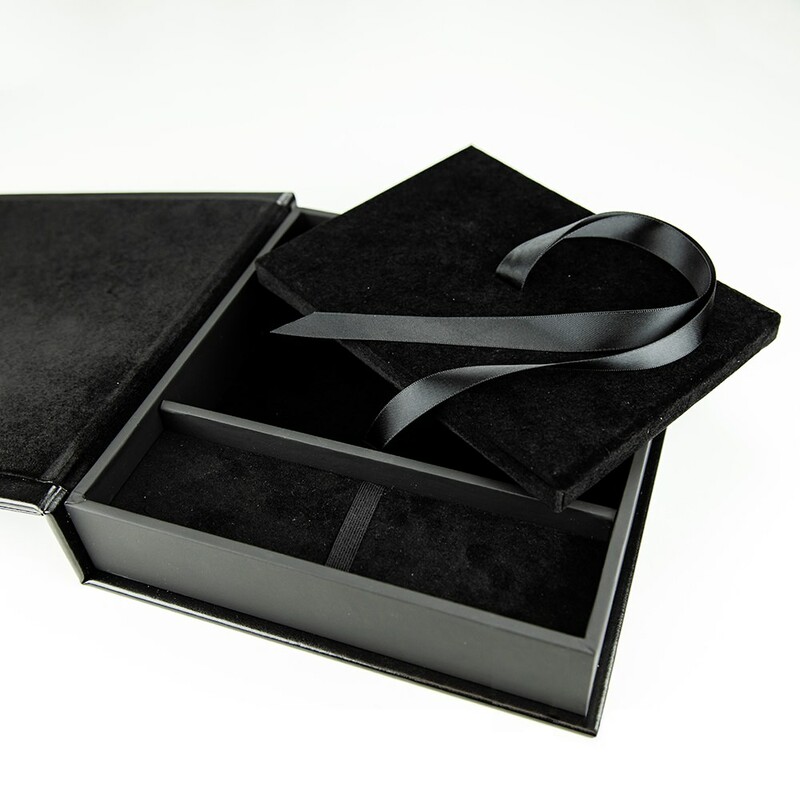 A USB and photo presentation box has to make an impression, just like this Impression packaging option! 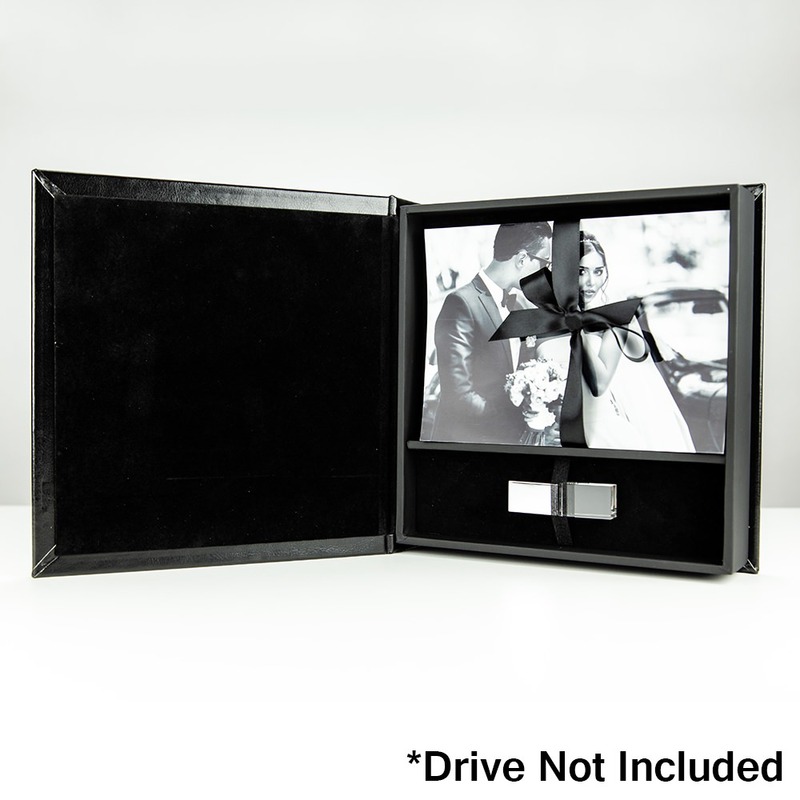 Deliver your clients photos and data in style and elegance with this wedding photo and USB presentation box, featuring a stately black leather and separate compartments for the drive and 4 x 6 photographs. Comes custom printed with logo or design of your choosing. 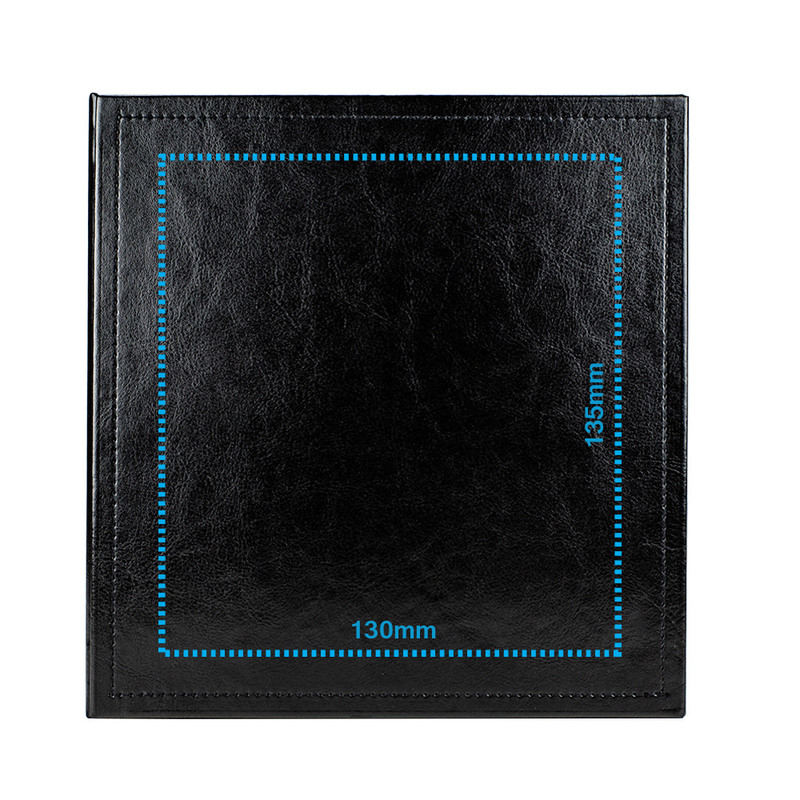 The Impression in black leather is an elegant packaging option for photographers looking to deliver client’s photos in style. 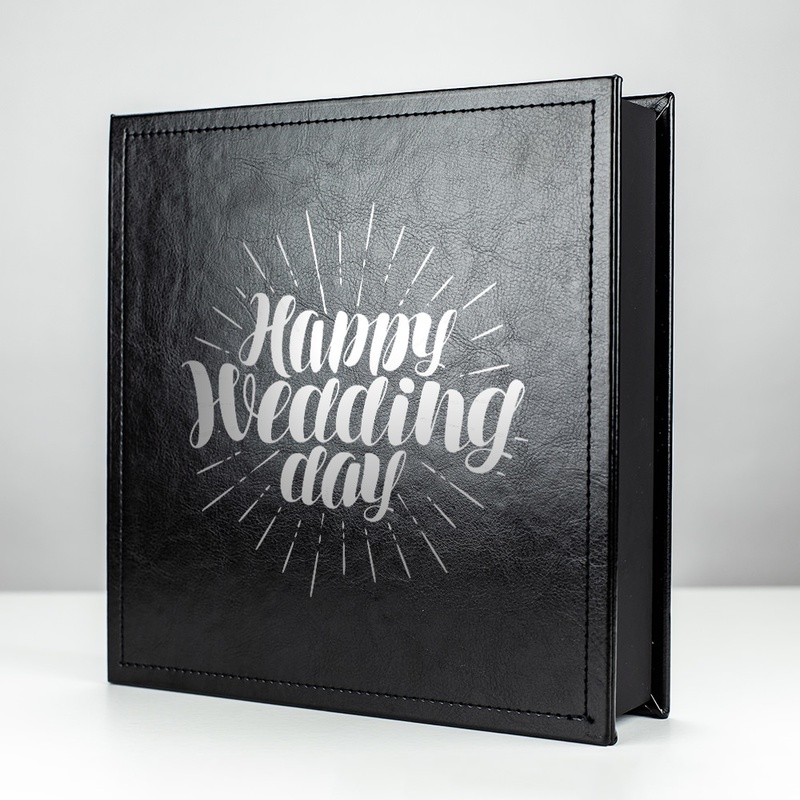 It is wrapped in a black leather covering with matching border stitching to make the cover pop. The interior is swathed in matching velvet which cushions the photos and flash drive, which are held with gray satin ribbon and elastic band respectively. This box holds up to 150 4 x 6 photos depending upon photo paper thickness or if you're using the included photo riser. Add an elegant touch with custom printing to please your client.